So by now I would assume that most of you have read at least one of the many season previews out there as the beginning of the 2014 Notre Dame Football season draws close. While I really hope you all check out our Fall Camp Primer, which you can find it HERE, there are plenty of other very good season previews out there. The amount of quality Notre Dame websites and blogs is truly amazing and really gives fans a vast amount of Notre Dame coverage. I recently was able to read ND Insider’s 2014 Season Preview Magazine powered by The South Bend Tribune and I was very pleased with the product. It was very well put together and was packed full of content. The magazine immediately catches your eyes once you see Jaylon Smith and Everett Golson, two of the premier star players on the Irish roster, on the cover. Once you flip past a few advertisements and the table of contents you find the season predictions from Eric Hansen, Al Lesar, Tyler James, and Bob Wieneke. Not only were the regular season records predicted by the South Bend Tribune Crew, but also things like “Hottest Tangent Topic- Field Turf, Mustaches, or Publix Crab Legs?” and what game is the yearly “Trap game”. The responses are pretty funny and should play well to all the ND interwebs folks who have plenty of laughs about the typical hot sports topics. Following the predictions, the magazine transitions to the feature articles. The first Irish player was Everett Golson. Now from when Golson was dismissed from school in the spring of 2013 to his return to to the team and preparation for the upcoming season there have been countless articles and features written about Golson and his time away from Notre Dame. However I can say without a doubt that this article written by Eric Hansen is by far the best I have read. Not only does the article contain a great account of Golsons time in San Diego with quarterback guru George Whitfield, but also the events surrounding Golson immediately following his dismissal. Hansen also sheds light just how involved Notre Dame was in the decision of Golson to train with Whitfield and how the university had the possibility to nix the entire idea. During the time that Golson was away from Notre Dame, message board posters on multiple sites would always ask site mods if there was any update on how or what Golson was doing. Now those same posters can read this fantastic piece by Hansen and know what Golson was doing during the entire time away from the University. Immediately after Hansen’s piece on Golson, Bob Wieneke follows it up with another very well written piece on Jaylon Smith, the star sophomore linebacker. Not only does it give great insight on Smith as a football player but it also gives insight on Jaylon Smith as a player off the field. Wieneke really sheds light on the switch from outside linebacker, where Smith played his freshman season under Bob Diaco, to inside linebacker this season under new defensive coordinator Bob Diaco. The piece does a great job shedding light on Smiths work during the off-season training at AWP Sports Performance and his preparation for his much anticipated sophomore season in a new scheme. Eric Hansen finishes off the feature article section with two well written and very informative articles on new defensive coordinator Brian Van Gorder and Brian Kelly and how he is approaching his fifth season with a new perspective along with bits of advise from New England Patriots coach Bill Belichick. Also you can find out what Brian Kelly does and does not like about the recruiting process and what coaching decision he would change from his first 4 seasons at Notre Dame. Following the feature articles, the magazine goes into an in depth analysis of each position on the Irish roster including position battles, depth chart, and players to watch in each group. Its a great section to read as this years team is missing a lot of big names that Irish fans have been accustomed to seeing the past few years. I really enjoyed the Linebacker Analysis section and how it described Brian Van Gorders history with linebackers, how he uses them in his scheme, and the experience from the NFL that he brings to South Bend. With a new football season always comes a new batch of players and for those who dont follow recruiting very closely throughout the year it can be difficult to learn all the new names and faces. Dont worry though because ND Insider and the boys at South Bend Tribune have you covered. They put together freshman profiles on each new addition to the Irish roster this season complete with rankings from various recruiting sites, fun facts, when they knew they were going to commit to Notre Dame, and who the hardest school/coach it was to say no too. It really gives the fans a good look into the new batch of the players that will suit up for the Irish this season. The magazine also looks at which incoming freshman have the best chance to excel and look at the “It” factor they bring to campus. Finally Tyler James, the recruiting writer for the South Bend Tribune, gives fans an inside picture into what happens on campus on official visit weekends on campus complete with an itinerary of events. Not only that but Tyler really paints the picture of just how much planning goes into the big official visit weekends that most fans never see or would never even know would go on behind the scenes. Tyler provides some first hand experiences from current Irish player KeiVarae Russel and what occurred during his official visit to Notre Dame. Overall I thoroughly enjoyed reading ND Insiders Season Preview Magazine. It provided great insight into this years squad, the expectations, and some of the key players that will ultimately decide the success of this years team. The magazine did an outstanding job of not only focusing on the overall season preview but also the in depth analysis of the position groups, the new coaching additions as well as a good look into the world of recruiting for Notre Dame Football. 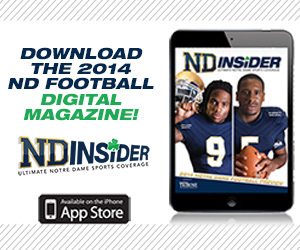 I really recommend that you purchase the ND Insiders Season Preview Magazine. You will not regret the decision. If you do want to get your own copy you can order either a printed copy or an iPad version at the South Bend Tribune website. 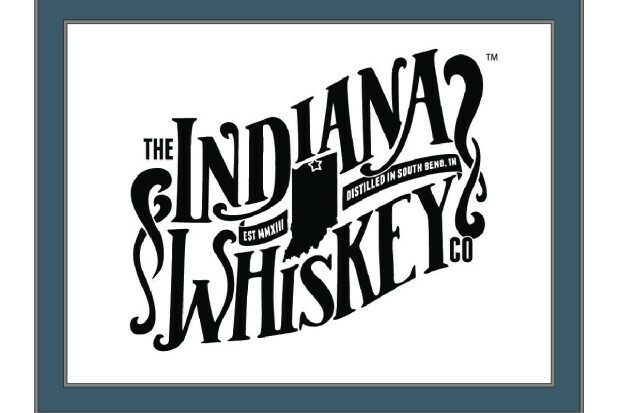 The printed version is $12.95, which includes shipping, and the iPad version can be downloaded from the App Store. I really hope you guys will consider purchasing this outstanding preview. Its more than worth it.